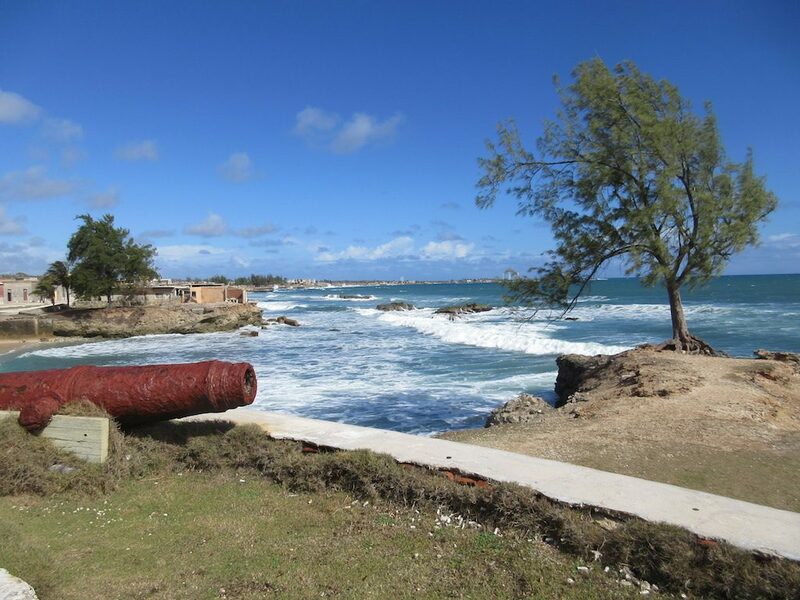 The town of Guardalavaca is located on the northeastern shore of Cuba and has a secluded shallow bay connected to the open sea by a narrow inlet. The name Guardalavaca in Spanish means “guard the cow,” although it is uncertain where the name originated. Some believe that the word was mistaken with Guardalabarca meaning “guard the ship” due to the large number of pirates in the area at one time. Others believe that the name is correct in that when a pirate ship was spotted the locals would call out “Guardalavaca” to alert others to watch their cows so the pirates would not take them. Gibara located on the northern coast of Cuba and west of Guardalavaca was founded in 1817 and has a population of about 75,000 inhabitants. Christopher Columbus’ first ship reached this area and said “it was the most beautiful land that human eyes saw. ”The town is referred to as the Villa Blanca or white village due to the number of white historic buildings in town. The main square called the Calixto Garcia was once famous for its splendid replica of the Statue of Liberty, erected in 1915, although we did not see it today. The square is undergoing much renovation work and it may have been removed for construction. It is said that a young Gibara woman was the model for the statue’s face. 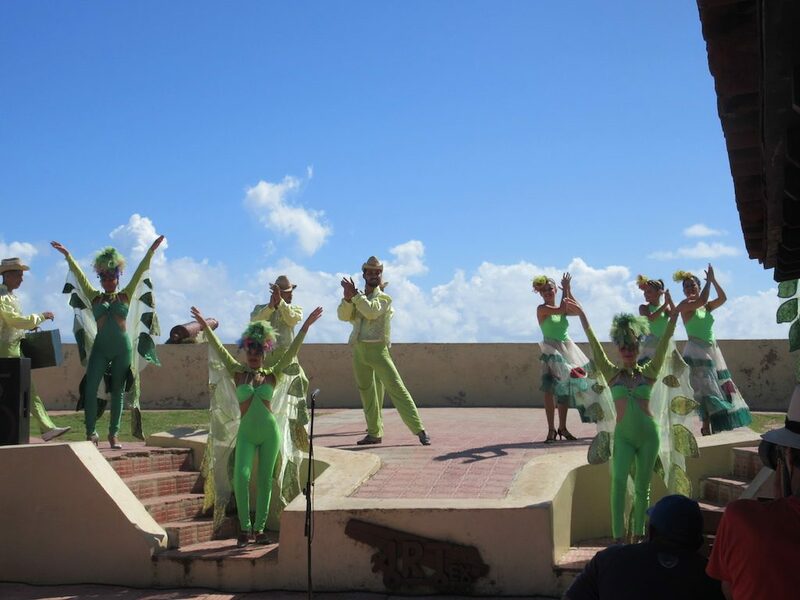 Our first stop in Gibara was at an old fort where we were treated to a Cuban folkloric show. The show had about a dozen or so men and women in a variety of costumes performing for about thirty minutes. During the show they served us one of the national favorite drinks, the rum and coke. The show was very nice and the dancers were well rehearsed. Next, we visited with a retired fisherman to learn about the types of fishing boats, fishing gear and the life of the local fishermen. The government grants licenses to the fisherman in exchange for a percentage of their catch which is used to feed people in local hospitals and the needy. The remainder of the fish is sold to local restaurants and hotels for a profit. Most of the fishing boats are very small and are manned by two men who row them up to five miles a day to fish in the local waters. Some of the local fish include swordfish, sea bass, red snapper, halibut, mahi-mahi, dover sole, cod, bonito, barracuda, shrimp and lobster. 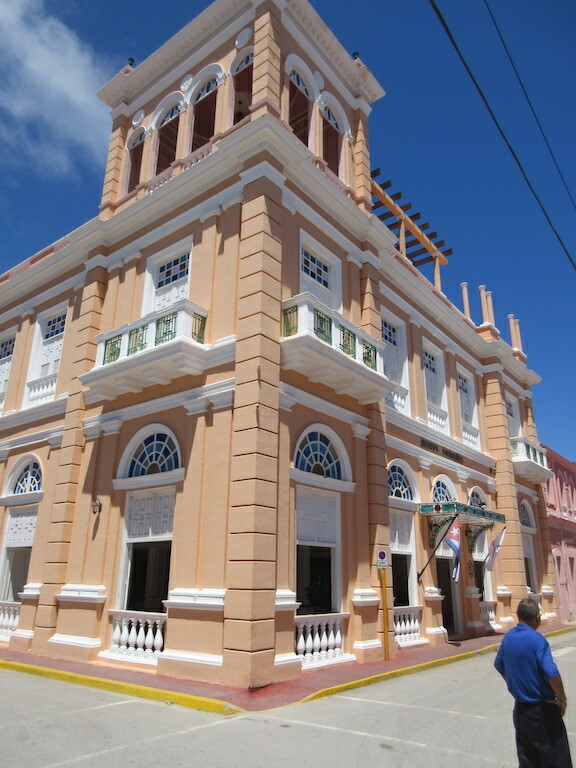 After meeting with the fisherman we walked into town where we visited the Casa de la Cultural or cultural center. Here people of all ages are encouraged to participate in all sorts of arts including playing an instrument to fine arts like painting. They had a small exhibit of paintings by local students on display and we also heard the music of a trio of women who have been performing and singing for more than 40 years. 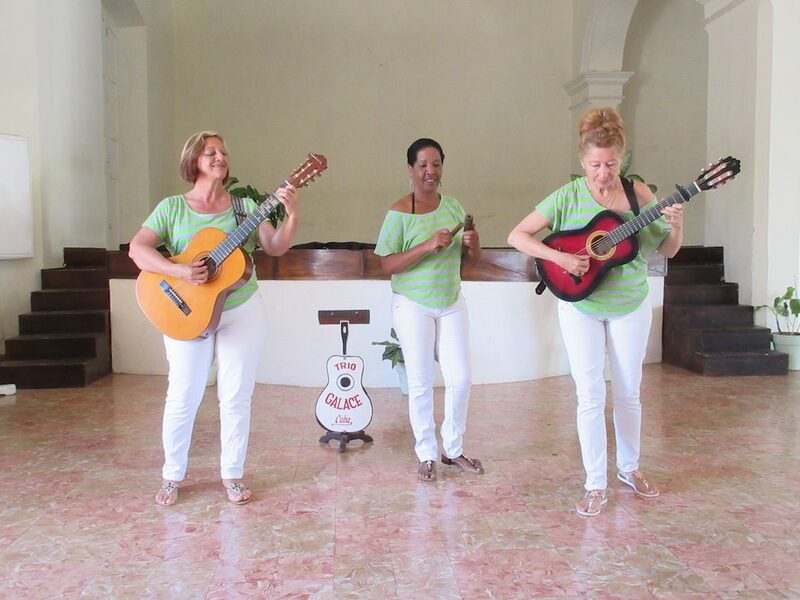 Two of the women played guitars, one played the sticks and mariachi’s while they all sang. Across the street from the cultural center was an artisans’ collective where artists displayed and sold their local arts and handicrafts. 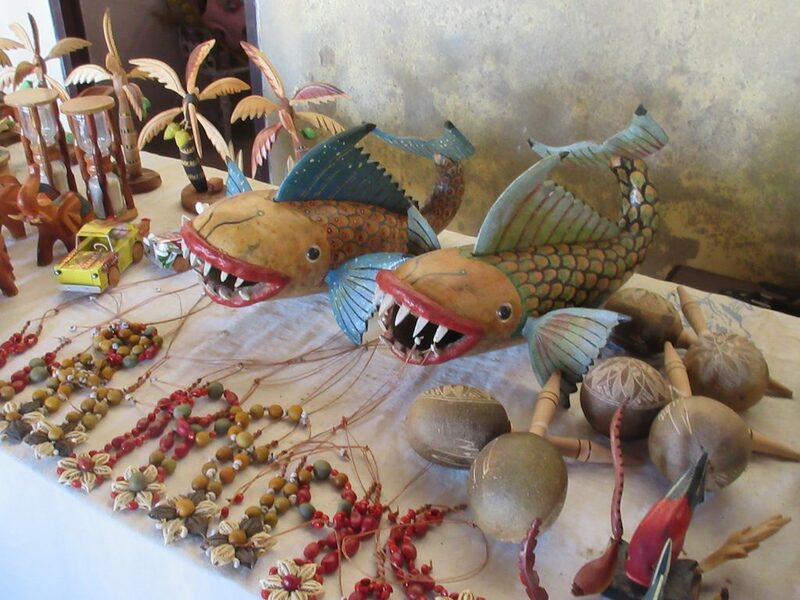 They had everything from wood carvings, to dresses, jewelry and paintings to car license plates. For lunch we drove a short distance from the town center to the La Cueva del Indio Paladar where we saw a demonstration on the making of the local drink, the mojito. The mojito is made from sugar, rum, lime juice, mint leaves and sparkling water. For lunch we were served family style at one large table a huge amount of food. Bread with a mayonnaise and garlic spread, fried plantains, banana chips, rice with black beans, a shrimp dish, seafood paella (rice with lobster, shrimp, fish), salad of lettuce, tomatoes, cucumber and carrots, stuffed crab in the shell, tuna steaks and French fries, another crab dish and flan for dessert. Too much food, but we had to try it all. After lunch we made the hour or so drive back to the resort where people could have a nap, enjoy the pool or other activities. The countryside along the way is scattered with small villages of homes and lots of open space. Animals like horses, cows, goats, pigs, chickens, turkeys and dogs roam the fields. Roadside fruits and vegetable stands can be found along the way, as well as many small stands selling beef laid out on a table under an umbrella. By late afternoon the rain had started to come down fairly hard making it difficult to navigate the huge complex without the use of the covered golf carts. The rain lasted several hours before clearing. In the evening there was an interactive Salsa dance lesson at the resort’s disco, which we chose to skip. Dinner was at one of the resort’s specialty restaurants called the Romantico. The food included a wide variety of items you could order from a menu but nothing outstanding. This entry was posted in Cuba 2017 by markcujak. Bookmark the permalink.